Planet Pet is a pet supply store and dog daycare based in Washington, DC. They were moving house and revamping their business, and a rebranding was in order. 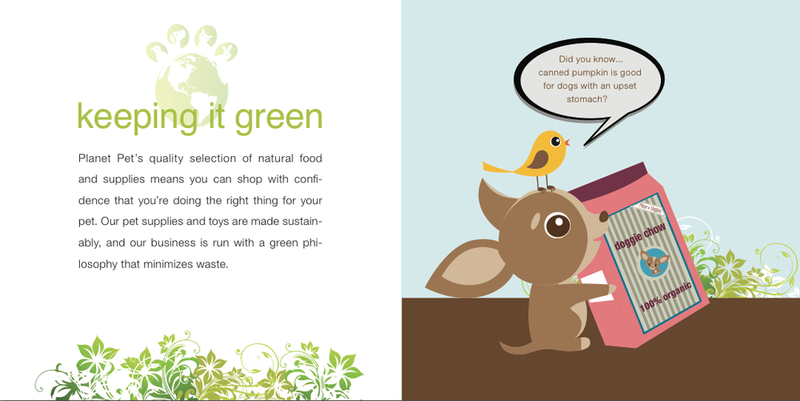 Graphic designer Sheila Mahoutchian and I teamed up to make a brochure that walked clients through the new Planet Pet. Click on the image to turn the pages.